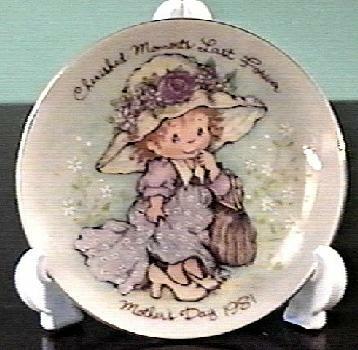 This cute Mother's Day 1981 Plate is from Avon and is called "Cherished Moments Last Forever". It measures 5" in diameter and is in excellent condition with no chips or cracks. It does not have a box. High bidder pays $3 priority mail shipping and an additional $1 if insurance is desired. Shipping in US only. NY State residents please add 7% sales tax. Thanks for bidding!